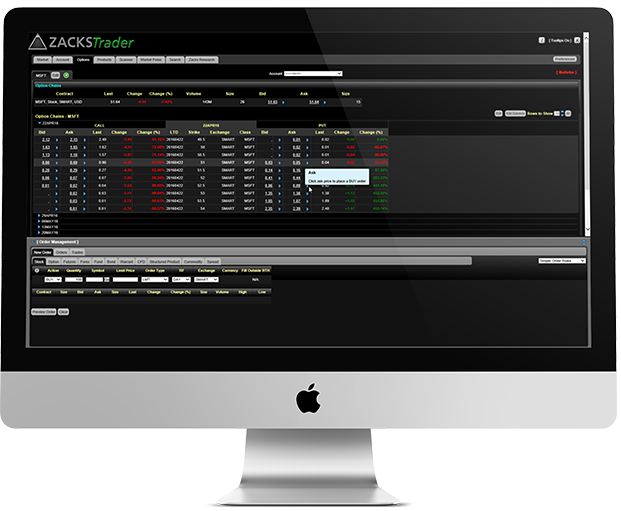 ZacksTrader is the perfect solution if you prefer an uncluttered trading interface that’s easy to learn, but offers advanced trading features and tools. Ideal for users who work behind a firewall, ZacksTrader runs through the Internet, so you can log in and trade from any Internet-ready PC or laptop with no downloads required. If you don’t need the comprehensive functionality of our ZacksTrade Pro, ZacksTrader provides a scaled-back, but still highly capable platform with a wide range of tools. Trade stocks, options, bonds, warrants and more on over 90 markets worldwide, all from a single account. Create orders with a single click on the Bid or Ask, or create more advanced orders in the Order Management Panel. View open orders and executions, and create new orders from open, executed and canceled trades. Quickly create spread orders based on predefined strategies, or create your own custom strategies. Add tickets to view streaming market data. View option chains, and create a new tabbed page for each underlying. Use interactive charts to view market value and volume for a single stock or index for one of seven periods. Check the Market Pulse to keep up with current market conditions around the world.  View security-specific fundamentals, including profile, news, charting, financials, insider trading information, analyst information and SEC filings for any company. Keep up with the latest market news with news feeds from Reuters News. ZacksTrader’s completely modular design lets you add and remove trading functions and tools to fit your own trading style. Create tabbed product pages that contain everything you need to see: market data, charts, open orders and more. Simply fill in your information below to request a demo account. We will create a demo account pre-loaded with $1 Million in paper trading funds. Demo accounts are emailed within 1-2 business days and you will have access to them for 90 days.